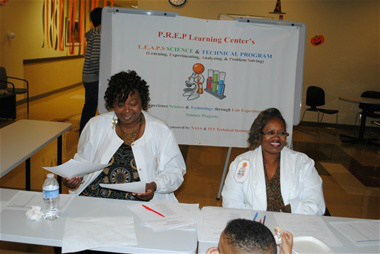 From Left to Right (Annette Ingram) Board member of P.R.E.P Learning Center volunteering with (Carmen Turner) in registering students for The L.E.A.P.S STEM Program held on October 27, 2012. 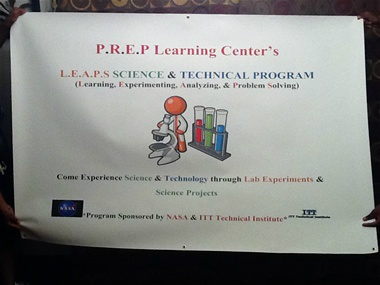 Thank You NASA & ITT Technical Institute of Youngstown, Ohio for Sponsoring P.R.E.P Learning Center's L.E.A.P.S STEM Program it’s greatly appreciated among the Children, Volunteers, and Staff of P.R.E.P Learning Center of YOUNGSTOWN, OHIO. 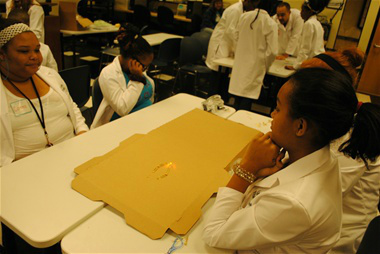 Student's work independently and collaboratively to create their own LED Lamps. 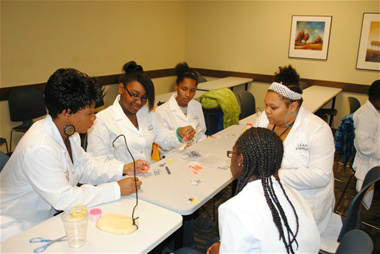 Tiffany N. Harris Director of P.R.E.P Learning Center and creator of L.E.A.P.S STEM Program assist 5th through 8th Graders in creating LED Lamps using wire, watch batteries, wood, tape, small magnets, large colored LED lights, and rubber. 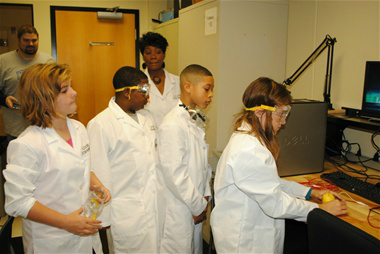 Student's are wearing Lab Coat and Goggles SPONSORED by NASA (National Aeronautics and Space Administration) Student's learn how electricity is generated using a few house hold items. 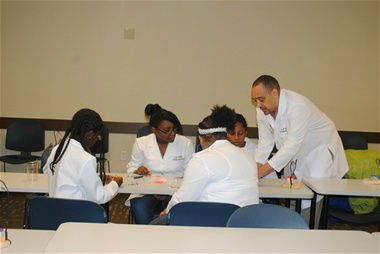 Rod Harris Co-Founder and Operations Manger of P.R.E.P Learning Center are demonstrating to the student's how to insert their handmade cardboard key between 2 batteries to turn their led switches on and off. 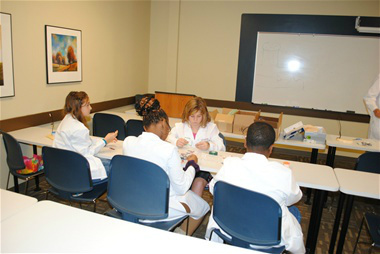 Students are taking turns reading the voltage of a lemon using an oscilloscope. 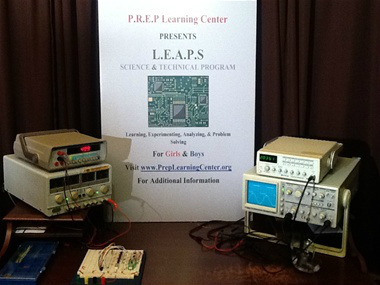 An Oscilloscope is a testing instrument used for testing circuits; it allows you to see the signal at different points in the circuit. 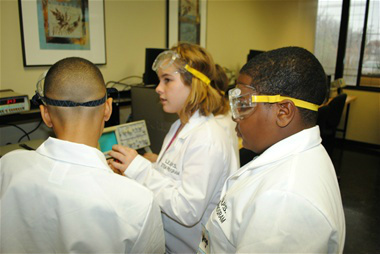 5th through 8th grade Student's take turns measuring the voltage of a lemon using an oscilloscope. Working together as a team to create a pizza box circuit using brads, paper clips, tape, and a large LED Light. 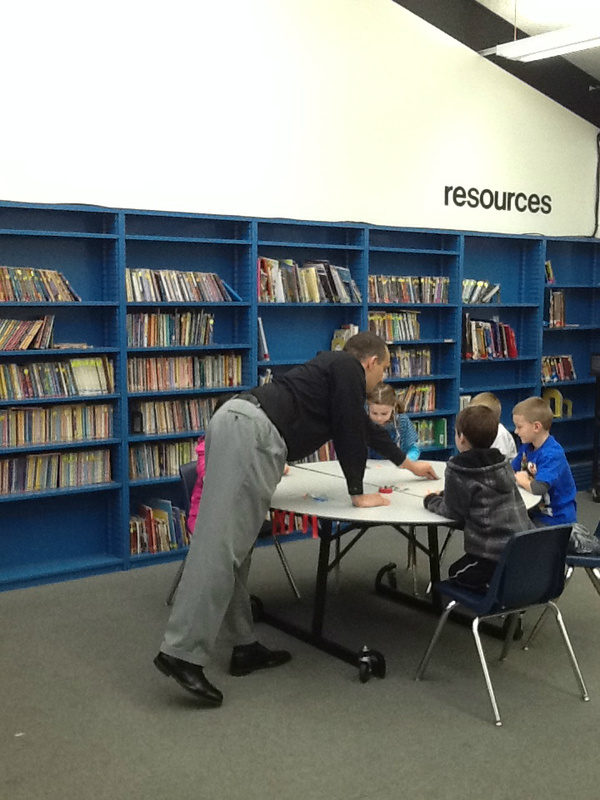 February 22, 2013 Rod Harris Program Administrator Assist Jackson Milton Elementary First Grade Students in Creating LED Night Lights.